A memorial at Mt. Zion United Methodist Church, near Philadelphia, Mississippi. 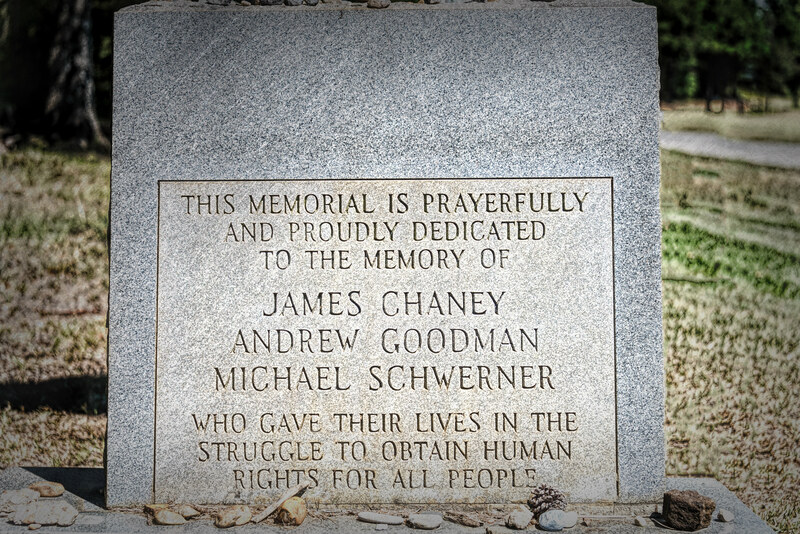 Chaney, Goodman and Schwerner were in Mississippi during the summer of 1964 as part of a civil rights campaign to register African-American voters. They were kidnapped and murdered by local law enforcement officials and members of the Ku Klux Klan.